We’ve always said it—and, more importantly, we’ve always known it: promotional products are central to your customer relationships. More than brand building tools, promos that “speak” your brand cut through the clutter, get noticed, and make a lasting impression. ASI’s Global Ad Impressions Study unpacks the impact, effectiveness and overarching value promotional products bring to the table. Did you know that 85% of people who have received a branded piece of apparel can recall the advertiser’s name? This stat alone means you absolutely must make apparel a part of your marketing budget this year (and you may want to consider increasing it). Your customers want these items, use these items and place a high value on these items—and, in turn, on you, your business and your relationship. Don’t dismiss something as simple and ubiquitous as a branded pen. 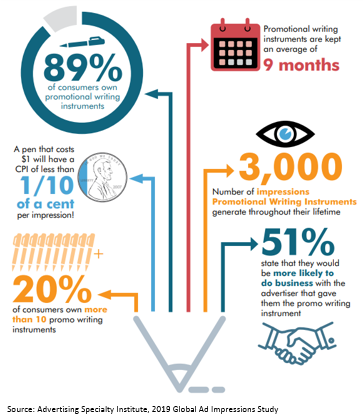 Nearly nine in 10 consumers report have and use promotional pens or other writing instruments, and 20% say they have a least 10. Considering each generates about 3,000 impressions over its nine-month life—and the fact that more than half of people say they’re more likely to do business with brands who share promotional writing tools—the low out-of-pocket cost makes this one a simple, strategic slam dunk. Another must that’s equally simple—and equally loved? Bags. 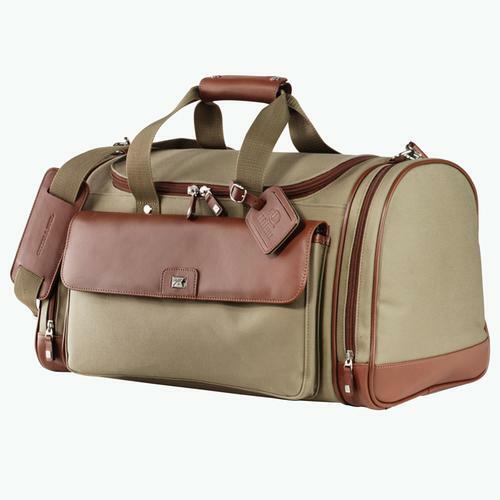 Seventy-three percent of consumers say they own a promotional bag, which they hang on to for close to a year. In that time, these bags generate 3,300 impressions—on a $5 bag, that’s a CPI (cost per impression) of less than $0.005. The icing on the cake? Studies show that 50% of consumers are more likely to do a business with a company that gave them the giveaway. We would imagine that this percentage increases if you find a bag that suites their style, taste and demographic. Not only do promotional shirts have the same CPI as bags, but they have a very long shelf life—nearly two-thirds of consumers keep branded shirts for more than a year, and close to half hang onto them for two-plus years. Considering 80% of the population owns at least one, that’s some serious bang for your proverbial buck. One more major shirt perk? Their appeal with the all-important 18- to 34-year-olds. This is the way to go. Millennials in particular can’t get enough of this promotional item—the average 20/30 something owns five branded shirts. Need help determining the right size for a logo on custom t-shirts? Click here. 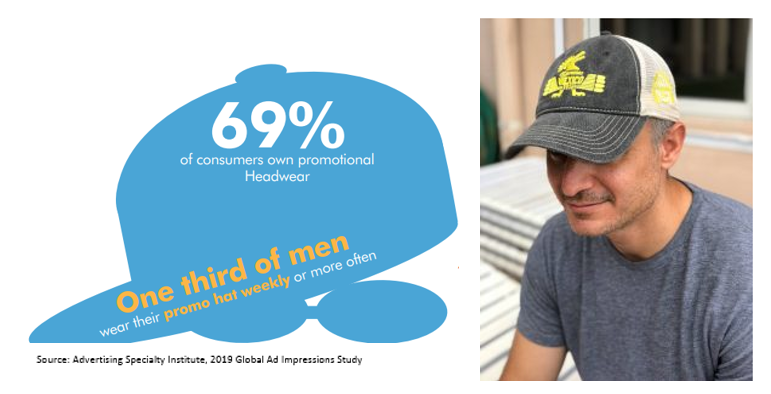 Consider branded hats and headwear the shirts of the male segment—69% own promotional hats and one in three say they wear theirs weekly, if not more. That’s serious—and that’s leading to more than 3,400 promotional impressions per hat. Better still, each branded hat creates a meaningful connection with consumers—nearly two in three say they hang onto the ones they receive “because they are attractive.” That’s a powerful statement and an incredible jumping off point for lasting engagement and advocacy. One of the newest must-have premiums of 2018 was the power bank —and 2019 is already proving this trend is here to stay. That said, just one in three consumers owns a promotional power bank, meaning the market is ripe for yours. Even if recipients have one already, there’s nothing wrong with having a second (or third…). 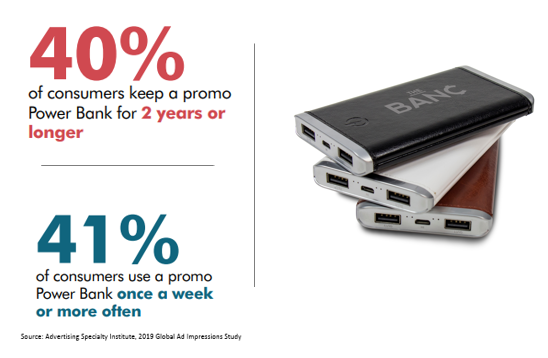 More than two in five people say they use their promotional power bank at least weekly. That means your will no doubt have a welcome home in their bag, car, desk drawer or carry-on bag. And because the average customer hangs onto their for two years or more, you’re getting tons of engagement for a very low price—bonus. That, though, is just the beginning—and judging from this study, 2019 will be the year of the promotional premium. Get in touch to learn more and see what’s popping to the top of consumers’ must-have list this year, and how you can get ahead of the curve with these cutting-edge essentials. Trade shows and conferences are rife with competing businesses clamoring to grab attendees’ attention with promotional items and gimmicks. How does one stand out above the crowd? Sure, pens and the like are useful, but they can be a dime a dozen at a big event. When in doubt, we recommend choosing gifts that are unique. Think about how to you’ll breathe new life into your marketing efforts with an original giveaway idea that far exceeds expectations! The benefit to this approach is that you have a better chance of being remembered, and hopefully, gaining new and engaged customers. In this piece, we suggest seven unique giveaway ideas to draw visitors to your table, and make sure they remember you when they walk away. Trade shows and conferences are a blast… but they’re also exhausting. Hours on your feet and continuous stimulation (talking, music, mingling! ), not to mention the travel to get there, are all a recipe for burnout. Earn attention by providing a promotional gift that guests will need: Items geared towards R&R. This is a unique idea because it provides a reprieve to the high energy buzzing around the event – a perfect juxtaposition. Give these items out in style by creating a dream-like relaxation station for guests to pop into during breaks. Diffusers misting out relaxing scents like lavender, an overhead canopy to allow you to filter out harsh conference lighting, herbal teas, and Zen-like music playing softly in the background. Ahhh. Kick it up a notch by having masseuses on-hand for free 5- or 10-minute chair massages. Anyone who’s been to a trade show has received a pen, t-shirt or candy bar on numerous occasions – and for good reason. 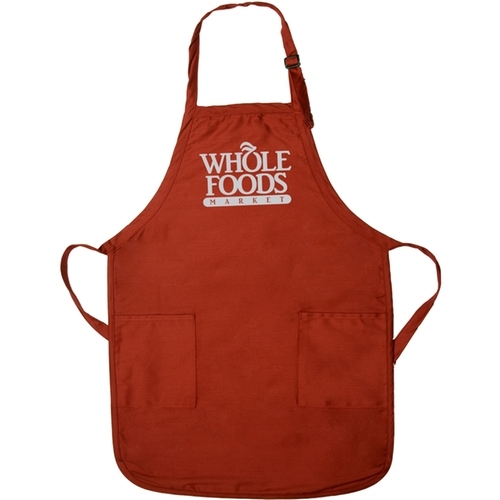 They’re practical items that guests like and use, which allow for easy customization. 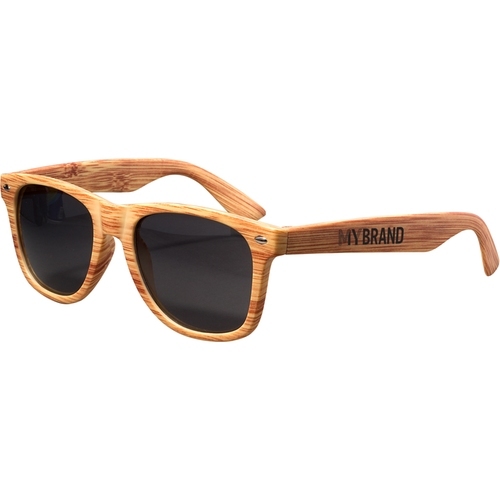 • Wooden shades – Sunglasses are a great giveaway, especially if the conference is in a sunny locale. The wood tone style is a nice change from plastic and metal, which are the more traditional options. • Glass water bottles – Ditch the plastic and go green with a beautifully made glass bottle. Or, if you want to stay with plastic (it’s more lightweight, for example), consider a unique shape, like a foldable/reusable or flask style water bottle, which is a great way to add some humor into a busy day. • Novelty calendars – Wall calendars are the norm, and magnetic calendars are a dime a dozen. There are more unique options out there, including pop-up, wallet-sized and other novelty calendar designs. Best of all, they guarantee visibility of your logo the whole year long! • Special magnets – Speaking of magnets, not all designs must be made with vinyl! 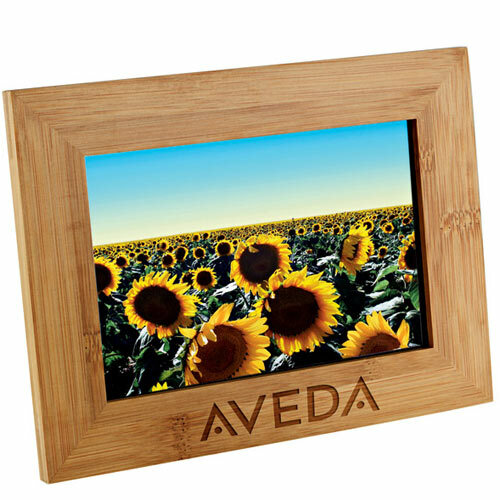 For a cost-effective gift that’s a unique departure from your competitors’, consider a magnet made of stone, chalkboard, metal, cardboard, or even a full color memo board. • Glass candy jar (with candy!) – Every conference goer can use a pick-me up between meals, which is why snacks and candy are great promotional giveaways. But rather than gifting an item that’s eaten and then forgotten, gift attendees a small glass candy jar they can refill and reuse. There’s a good chance an item like this will make its way onto their desk, where you’ll get some serious shelf-life and continued advertising. While puppies would be cute, we’re thinking something more along the line of plants. Adding greenery into an office space is a great way to make it feel comfier. Gifting attendees with plants, outfitted in customized planters, is a unique way to get your brand name on something valuable with staying power. It sounds simple, but of course we’re not talking about boring old white ones. 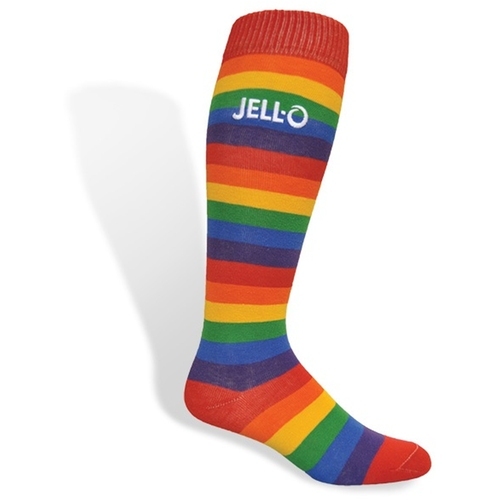 Branded socks are a fun and unique way to make your brand known. Especially for 2+ day events, guests will be able to put your gift to good use at the hotel or on the plane ride home! Considering how plugged-in we all are, tech accessories are always a hit at trade shows. Instead of the usual USB key or screen cleaner, why not opt for something more unique? Choose an item that can add great value through convenience (not to mention, price point), and you’ll have a memorable gift that recipients reach for again and again. If attending a tech or internet marketing conference, you likely wouldn’t get much attention with the gifts mentioned above. Effective giveaways are not just unique products; they are often unique to the industry in which your company and recipients work. You get the idea! Find the perfect gift that is tangentially related to your target audience, and unique enough that they won’t have seen it before on the trade show floor. Especially for the budget-conscious marketer, traditional giveaways are sometimes still the best option. But that doesn’t mean you can’t put a unique spin on them! Consider creating small swag bags or care packages that bundle useful items together. Offering them in a paper or plastic bag makes them feel more special and speaks volumes about the kind of care and attentiveness you put towards your customers. A unique promotional giveaway is a great way to grab attentions in a space that is buzzing with people, conversation, and loads of other tables and booths. Throwing some pens on a table is not going to have the same effect as a giveaway idea that is funny or unexpected. The more you design your booth space to create a unique and inviting atmosphere, the more attention and traffic you’ll earn. 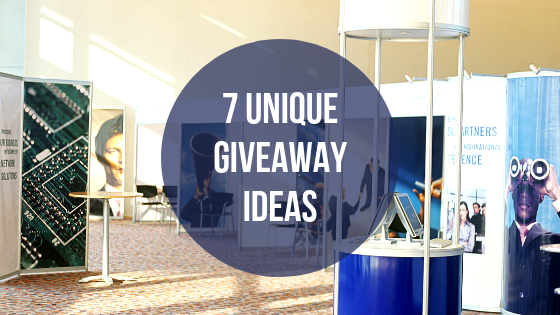 When it comes to trade shows and conferences, we say don’t be afraid to get creative! For support in designing a custom promo item, logo or other marketing artwork for your next event, get in touch with the professionals at ePromos! Magnets are a go-to promotional premium – and with good cause. 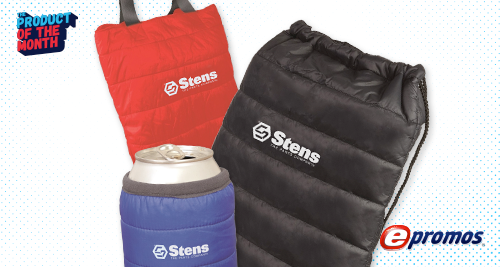 Universally useful, incredibly customizable and long-lasting, countless businesses are using these promotional products effectively and in new, unique ways. That said, modern promotional magnets aren’t a one-size-fits-all – and neither are the businesses and industries using them. 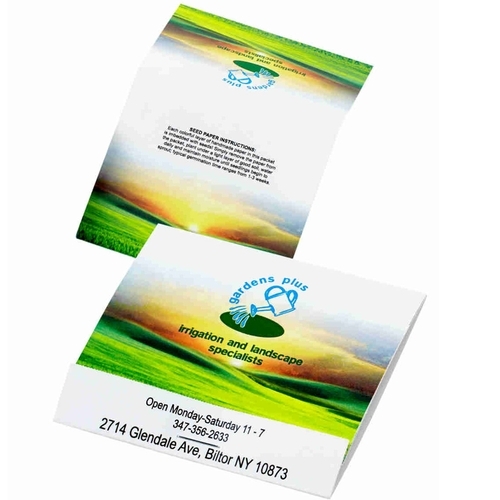 There are countless ways to use promotional magnets , including a variety of product types – think business card magnets, refrigerator magnets and more. And, for each custom style and finish, there’s a company utilizing these low-cost magnets to build consistent brand awareness and ensure their message is front-and-center. Some of our favorites? 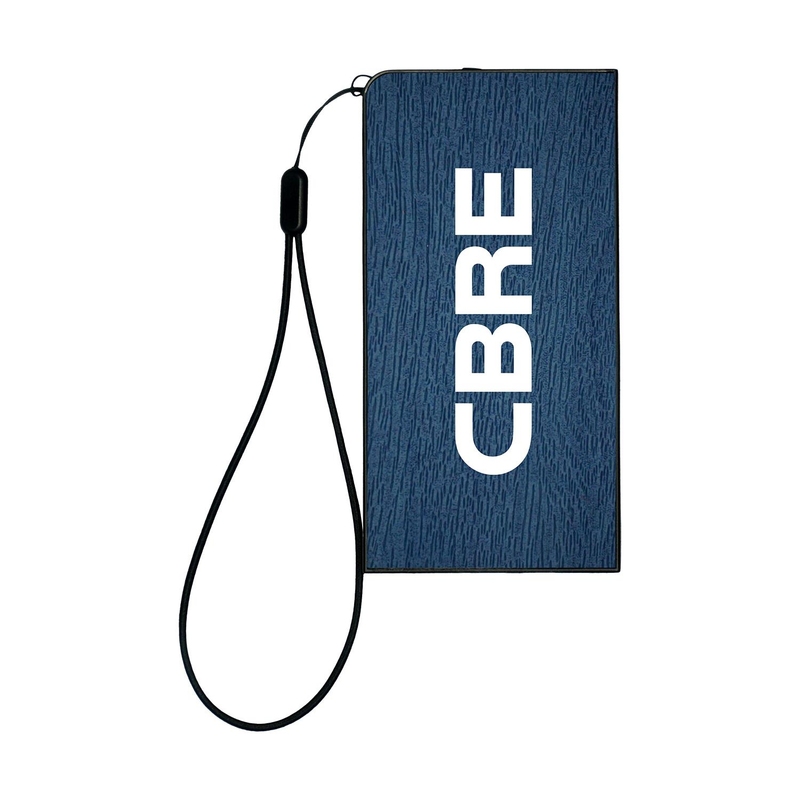 Business card magnets are some of the most popular promotional products for local businesses. These magnets are useful because they can include prominent contact information and be put on a local resident’s fridge or other highly visible magnetic surface. As portable as a business card, these 20 mm and 30 mm magnets pack a serious punch for businesses and recipients – unlike traditional business cards, your contact information is on-hand when your customers need it. That means, when their plumbing goes in the middle of the night, there’s no rummaging through wallets and bags, and no trying to remember recommendations. They’ll see your magnet and call you first. Local businesses aren’t the only ones tapping into business card magnets. Travel companies with reservation lines, insurance brands with customer service hotlines, schools, universities or any business that deals with frequent consumer outreach can benefit from using these products. Include bold branding, a short message and a call-to-action and you’ve got a promotional piece that will always be visible to your core customers – and that’s powerful. Calendars are a great way to keep customers in the know – and companies using promotional products are doing just that. For those who provide routine, ongoing services – think mechanics, exterminators, primary care physicians and dentists, for example – calendars can be an organic way to remind customers to schedule routine maintenance throughout the year. Often, these critical tasks are overlooked in the hustle and bustle of everyday life – and the chaos of customers’ smartphone calendars. 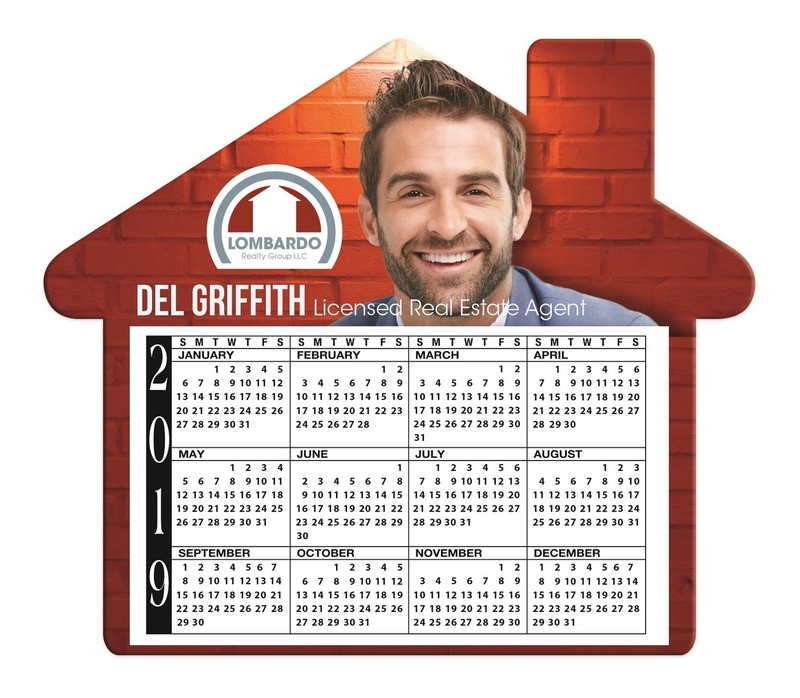 Custom calendar magnets are always in a very visible location, be it on the fridge, a magnet door or other household hotspot. By populating your calendar with important reminders or dates – and including prominent contact information so customers can get in touch – you’ll be able to boost engagements, bookings and, overall, ensure your client base is in-the-know all year long. You can even customize the look and feel of your calendar magnets to ensure they stand out. Sometimes it’s more than just a call-to-action and contact – other times just a logo will do the job. That’s where these fridge magnets come in. Designed to stick to a magnetic surface and clip onto photos, menus, coupons or other important information, the bold, colorful and fully customizable magnets do double duty – they announce your brand and can also include valuable info or offers which customers can choose to display or store away for future use. While many businesses are adeptly using these products, some of the most common uses are for restaurants offering a magnet and menu – then customers don’t even need to open the fridge – the magnet offers up a quick, delicious solution. Other high impact uses include offering a series of coupons or monthly offer mailings that can be popped into the magnet – customers can grab and use anytime, without ever worrying about misplacing their latest deal. All of this said, creative layouts and use cases are just the beginning – it’s important to get the most bang for your magnetic buck by creating magnets people will want to pick up and use. As we’ve seen over and over again, one of the best ways to do this is by aligning magnet content and creative with customers’ lifestyles, preferences and causes that matter. The following brands are perfect examples – each maximizes their magnet campaign with clever, compelling lifestyle-first content customers can latch on to and which, through their visible support, drives greater awareness and engagement…all from a single magnet. The National Alliance of Mental Issues (NAMI) drummed up attention for mental health and, specifically, to eliminate the stigma surrounding these common conditions. 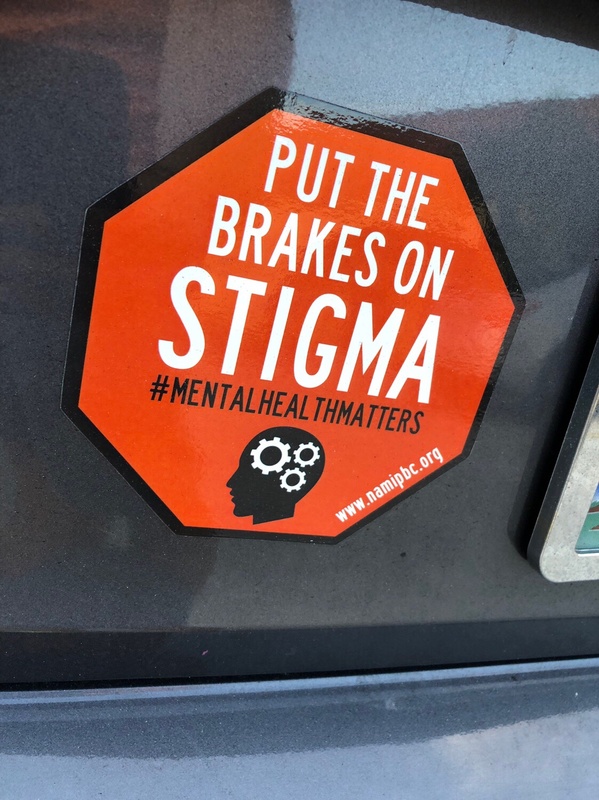 Their clever creative called out for drivers to “Put the Brakes on Stigma” with a call out to #MentalHealthMatters, making it ideal to affix to a car. If it’s a cause you believe in, you’d likely be willing to grab a magnet and proudly declare your support to the world. Likewise, juice bar Raw Juce makes using their magnets a lifestyle choice. By adding one to your car, you’re telling everyone you’re health conscious and you sip local. 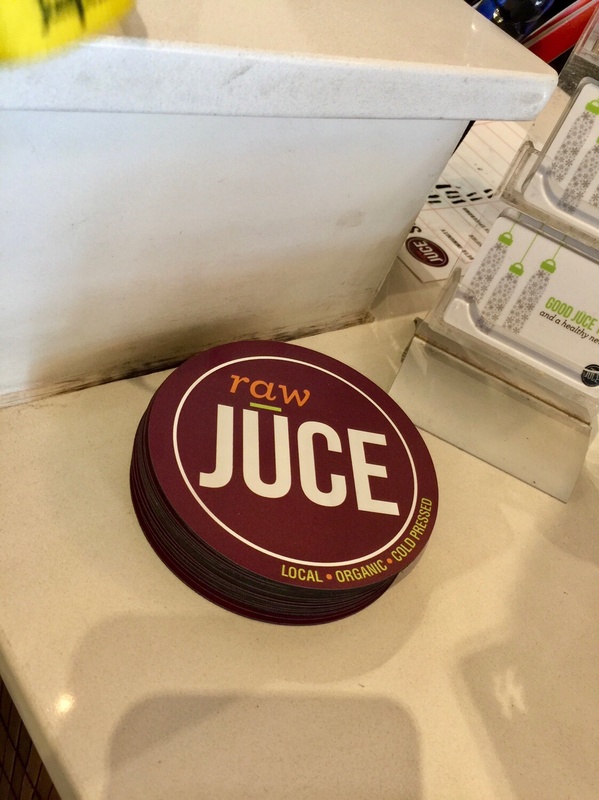 It’s a smart way to drive added usage – and because Raw Juce leaves magnets next to the register, they’re easy for loyal customers to grab as they go. 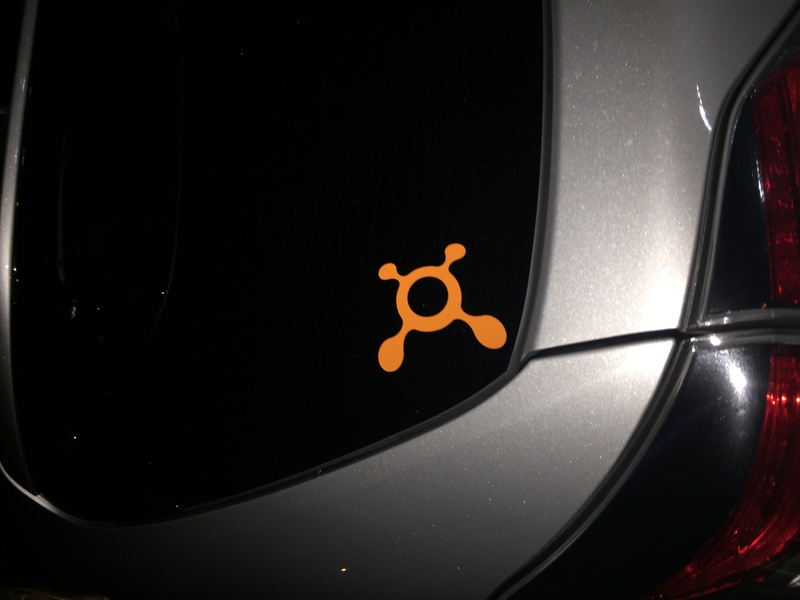 Orange Theory Fitness and Green Monkey Yoga have a similar approach, utilizing magnets to enable customers to tout their wellness-first lifestyle. 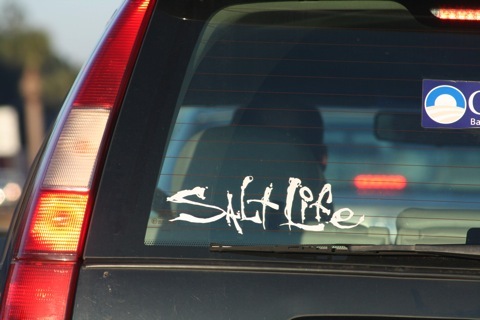 Similarly, Salt Life – a popular beach and surf brand – gives magnets and bumper stickers so followers and customers can proudly declare they’re living the Salt Life. Affix these magnets and you’re telling the public you’re an avid waterman, who lives and breathes all things ocean. Pet Vet Animal Hospital in Deerfield Beach, FL, also encourages magnet users to proudly declare their affinity – in this case, for dogs. 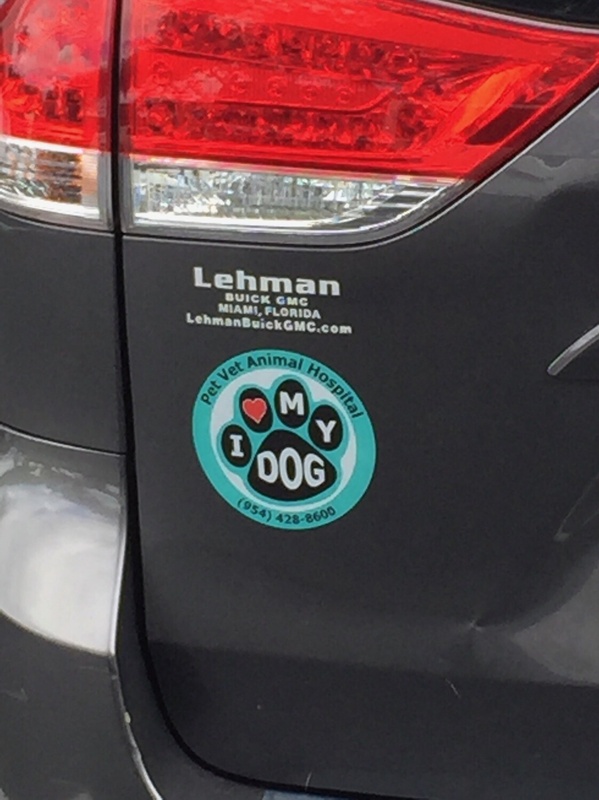 Magnets, which can double as bumper stickers, proudly declare “I Love My Dog” with a call out to the hospital’s phone number. These lifestyle-driven creative executions and clever formats are just the beginning. 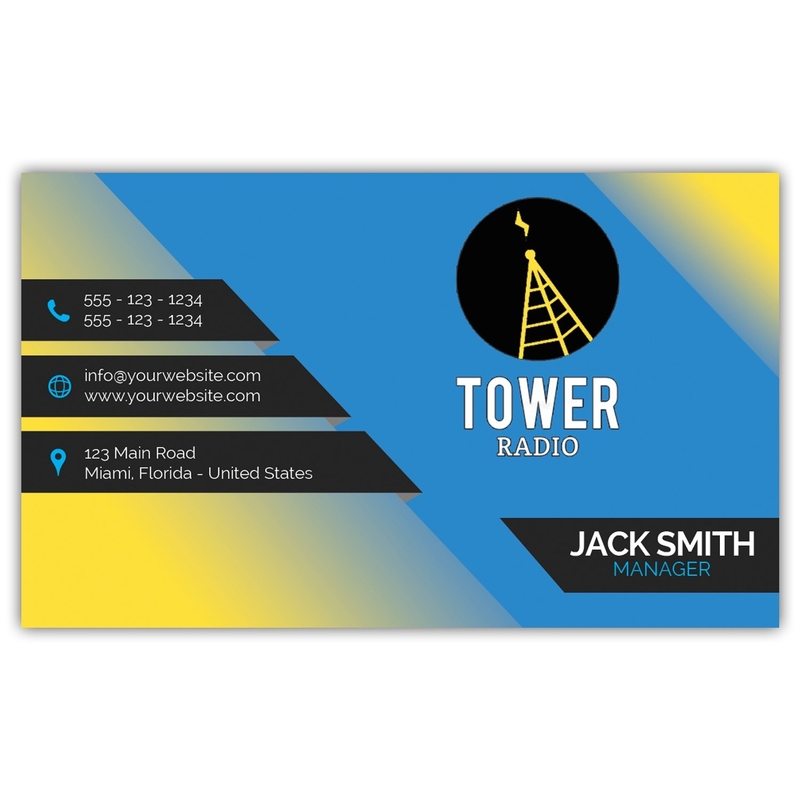 There are countless uses for these in-demand promotional magnets and countless ways to integrate these low-cost, high-impact premiums into your marketing strategy. Get in touch to learn more and to start customizing your magnets now. Work-life balance has been a hot topic for the last few years, in part, due to the climbing number of millennials entering the workforce, coupled with the advent of tech giants, where on-site arcade games, beer fridges, and free meals are the norm. Word on these buzzy perks has gotten out, and workers want in on them. Offering these kinds of things not only makes your workplace more appealing, but it’s a great way to create an environment ripe for a healthy work-life balance. 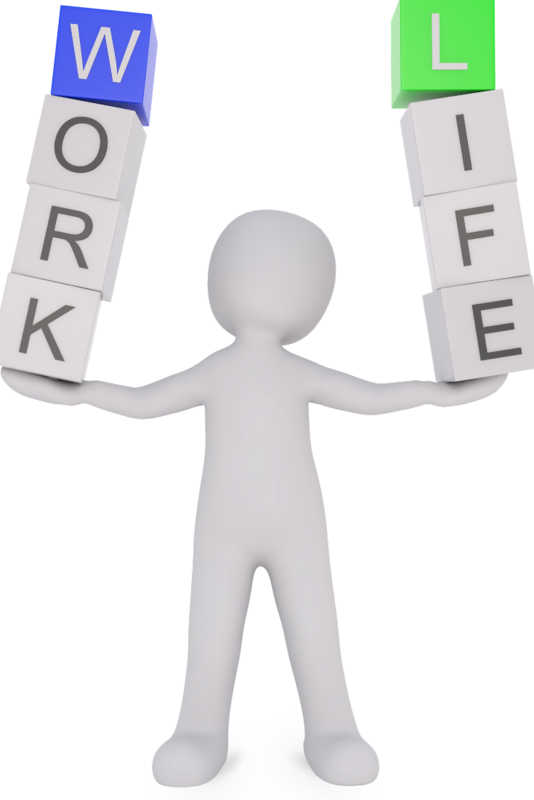 Why is work-life balance so important? Studies show that employees not only want it, but need it. Work-life balance helps workers stay healthy, both physically and mentally, and helps avoid burnout—a common occurrence among overworked employees. Also, contrary to some out-of-date thinking, just because employees work around the clock, doesn’t mean they’re actually being efficient or productive. Keep reading for 15 tips on how to create better work-life balance for your employees. Some folks are early birds, others night owls—so why expect them all to homogenize to a standard 9-5? If your business can allow for it, consider opening up scheduling, like 7-3, 8-4, 9-5, and 10-6. This doesn’t mean employees should change it up daily, but picking a timeframe and sticking to it should make everyone happy. More and more companies are offering telecommuting—and for good reason—it has been shown to actually increase employee productivity. How is that possible? For starts, there tends to be less distractions when an employee can hunker down in the comfort of their home office, skip traffic-y or long commutes, and *bonus* keep their sniffles to themselves (preventing an onslaught of office sickness making the rounds). Consider supporting one day as a pilot, though many companies offer employees the opportunity to work from home several days each week. Physical exercise is important not only for the body, but the mind. Encourage employees to get physical by offering a gym membership, or even a discount to one if you can’t cover the whole bill. Many health insurance plans offer discounts, too, that employees can take advantage of. If yours does, make sure they know about it! As a way to promote the program, hand out custom gym bags to get kick start momentum. On the other hand, if you have the space for it, consider adding a small gym to your office. This may sound extravagant, but even setting aside a single conference room for a treadmill, stationary bike, and a few yoga mats is a great way to help employees exercise as part of their daily work routine. Or, make the entire office a fitness space by providing pedometers that track employee steps and other fitness stats. Consider hosting a weekly yoga, Pilates, or other fitness class right in the office. If you really want to encourage fitness, consider holding two or three each week. From ergonomic desk chairs, to standing desks, there’s a ton you can do to help create comfy spaces for employees. Another idea—add plants around the office for a pop of color and improved air quality. You can also encourage employees to personalize their spaces by gifting them picture frames they can use to hold pics of their kids, pets, loved ones—memories that will make them smile on even the most stressful days. Offering employees a space to quietly zen-out during a hectic day is a great way to allow them to re-route frustration, anxiety, or the daily chaos of company work. Whether this is something they do at-will, or a morning ritual—say, your team meets at 9:30 every day for a quick 15 meditation circle—promoting this stress-relieving activity is a perfect in-office tactic. Also, consider passing out stress balls for employees to keep on their desks to use as needed throughout the day. Whether this is something you hold monthly or quarterly, trust employees will look forward to it! A luxurious mid-day treat, a chair massage is a great way to work out the tensions that build up over time—especially for employees that sit all day at a computer (AKA those ripe for shoulder and neck knots!). Full-time employees (generally) sign on for 40 hours/week…but it’s all too common to work many more—which is no bueno for a healthy work-life balance. Encourage employees to leave the office at reasonable hours, and discourage late night and weekend emailing. Sure, sometimes it’s necessary for projects, but it shouldn’t be a long-term, regular occurrence if you want work-life balance. Encourage employees to stretch their minds and creativity by partaking in ongoing learning courses and certifications. How to encourage it? For starts, you can help pay for some of the fees associated with it. Or, allow employees time to study (if taking a test, etc.) as part of their work day (perhaps two hours a week). Many ticketed events provide discounts for group rates. Considering purchasing a chunk of tickets to a local sports game, ballet, or play that employees can then purchase from you at the discounted rate. This is win-win—employees get the discount and some family time, while employers make them happy, without compromising the work day (as these types of events occur at night or on the weekends). Getting employees to socialize with one another outside of a project or typical workday task is a great way to improve relations around the office and have some fun. Gathering up your team to head to a local happy hour is a great way to break loose, laugh, and get to know one another in a non-work space. Holidays are meant to be spent with family and friends, relaxing and celebrating—not working! Offering paid holidays is a generous perk. Of course, most companies already do this, but to varying degrees. While the average is about nine, consider adding in a few more days—like July 4thand 5th, or December 25th and 26th. Lots of employees end up using their PTO to take these days off, but making it an official company holiday is a generous move employees will appreciate. Many companies offer paid time off, but that doesn’t mean employees will use it. That said, taking vacation time is an important part of creating a healthy work-life balance. Consider half-year check-ins with employees to ensure they’re using this important benefit, and consider setting a limit on roll-over days from year to year. The water cooler and coffee pot may be workplace pantry staples, but consider going a step further by offering healthy snacks to go along with these beverages. Fresh fruit, granola bars, yogurt cups, and dark chocolate are a few ideas folks will not only love, but will keep them nourished through their work day. Lunching together is a great way to bond with colleagues in an informal setting, where you can talk about things other than projects and work tasks. Whether you take your team out to a restaurant for this meal, or simply have a few pizzas delivered to the office, employees will appreciate the gesture—and are likely to partake, because, uh, who doesn’t love free food? We hope these ideas have got your creative juices flowing about the ways you can usher in better work-life balance with employees. Of course, you’ll need to lead by example and actually partake in whichever items you enact—but hey, from entry-level through executive leadership, work-life balance is important for everyone (yes, even you). Who doesn’t want to run faster, jump higher and push just a little bit harder? Exactly. And in the business arena, the equivalent is getting all geared up with the latest and greatest technology – technology that enables you to drive your business forward. The good news? The hottest tech products are also some of the most affordable and most intuitive – in other words, the perfect gift and perfect corporate premium to give your customers, employees and vendors anytime. Unless you’ve been living under a technology rock, chances are you’ve seen Nuckees (literally) popping up everywhere. The small circular grips attach to the back of your smartphone, then pop out to create a better grip or, even, a stand. Once you’ve got your Nuckees in place you’ll be able to go from meeting to meeting without missing a beat – or dropping your phone. And when you’re ready to take a breath? That stand makes your phone the perfect private home theater, ideal for a PM or on-the-road binge session. And to ensure you’re Nuckees-boosted phone doesn’t give out? This Wood Grain Custom Power Bank is the way to go. You’ll get an instant jolt from its 3000 mAh, and get your phone back up and running fast. Another perk: this one’s designed for on-the-move professionals, with a wrist strap to keep it close without ever letting it hit the ground. With privacy and security top-of-mind, it’s good to give something that acknowledges your commitment to keeping things on the up-and-up. This slide-action webcam cover adheres to your computer, laptop, tablet or phone, protecting – and covering – the camera lens. Then, when it’s time to hop on a conference call, simply slide to show your face. It’s secure, it’s simple and it ensures only the right people are peeking in. Tune into those Nuckees-inspired binge sessions or listen to your favorite playlist without ever missing a beat – that’s what we love about these Bluetooth earbuds. Listen for three hours on a full charge, or use the built-in microphone to chat with colleagues or check in with the office. Then, store everything in this sleek, portable metal charging case and do it all over again. Stay hydrated and keep to the beat with this water-meets-music must-have. Perfect for the gym, AM jobs or, simply, kicking back at the park or beach, these water bottles hold either cold or hot drinks – and come complete with a built-in speaker to stream pump-it-up playlists, audio books or, really, anything else that gets you going. Because, really, you can’t have enough chargers around. 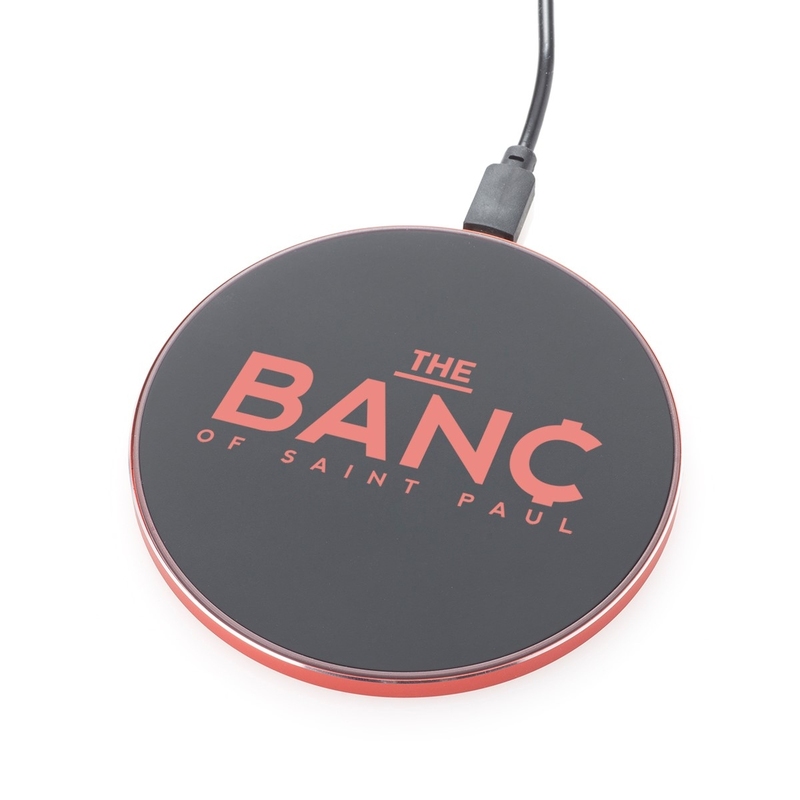 These two-tone wireless charging pads utilize Qi technology to ensure a powerful charge fast. 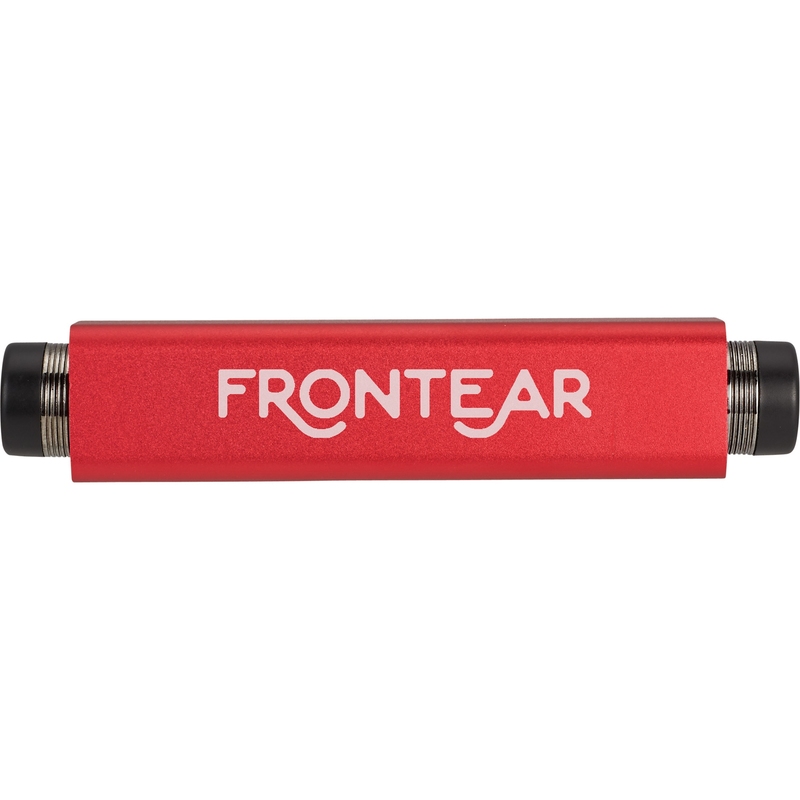 With a sleek finish and prominent logo, this charger is perfect for any home, office or waiting area, delivering up to three hours of charge time to virtually any handheld Qi-compatible device. Get your hands on these must-have tech gifts now, and ensure you’re supercharged into 2019 and beyond. 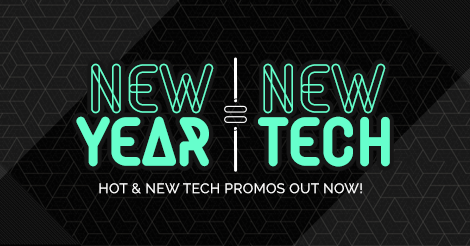 Contact ePromos to learn more and to place your tech order now.